A valuable addition to our in house manufacturing capabilities is our precision centerless grinding department. 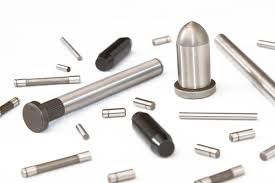 With our centerless grinders we can provide our customers with finished precision ground parts while maintaining total control over quality and insure that our customers receive on time delivery. Our precision centerless grinding department contains both through feed and infeed grinders. While the grinding principles for the two are the same, part geometry dictates which process to use. Through feed grinders are used for grinding straight, cylindrical type parts whereas infeed grinders are used to grind parts with steps or shoulders. Both grinding processes are capable of holding diametrical tolerances of .0004 and surface finishes of 8 RMS. In addition, many of our customers who have their own blanking capabilities send their parts to Ohio Metal Products for grinding. 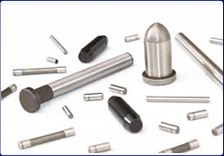 Our centerless grinding customers receive precision ground parts, competitive pricing and quick turnaround. If your part diameters require close tolerances and smooth finishes, contact our customer service team and see if you can benefit from our centerless grinding service. To learn more about our Centerless Grinding Services, please review the table below, or contact us directly.